Recreate Natalie's Oscar night look! Hello lovelies! Yes, Oscar night is behind us now, but that doesn't mean we can't relive some of those fabulous red carpet moments with makeup looks inspired by some of our favorite stars. It was great to see Natalie Portman go home with the Oscar. Having followed her career for a long time and now to see her as a mom to be, I am thrilled that she went home with the Best Actress award. Natalie's look from the red carpet. Bronzey eye with soft lips and cherub cheeks. Very elegant and composed without too much focus on one feature. Just letting her radiant face shine through. I wish I had earrings like hers! Here is my step-by-step tutorial on how to get this look inspired by Natalie Portman. I prepped my face with MAC Strobe Cream to get a lit from within glow. I primed my face with Make Up For Ever HD Primer in #6 and used Make Up For Ever HD Foundation in #125. I dusted my face with MAC Prep & Prime Transparent Finishing Power. For blush I used Make Up For Ever HD Blush in #6. On lips I used MAC Dazzleglass Creme in Soft Dazzle. 1. Prep eye with primer. I used Nars Smudge Proof Eye Primer. Then MAC Paint Pot in Bare Study on the lid and browbone. 2. Line lower lash line from the inner corners to the center with a light champagne liner. 3. Line the top lashline and lower outer 1/3 with a bronze pencil. Line the upper waterline from the center to the outer corner only with a black waterproof pencil. 4. Apply base soft brown shade. I'm using MAC Rich Flesh Eye Shadow (Matte). 5. Apply soft gold shade to the upper part of the lid. I'm using RMK eye shadow in Shiny Brown Gold. 6. Use a darker shade to cut a crease and work your way through the outer third of the eye. I'm using Lancome Colour Design eyeshadow in 4Style. 8. Apply a metallic shade to capture light and draw attention to the eye. I'm using MAC Tan pigment. Pack on the center of the eye. 9. 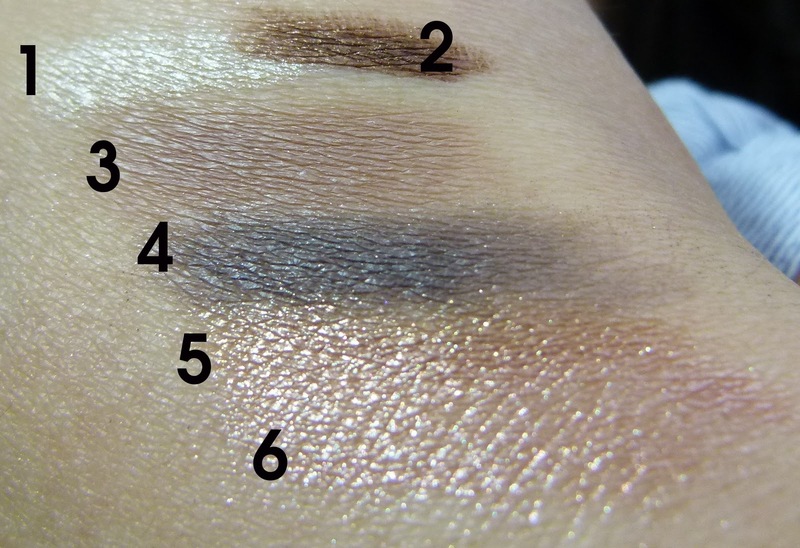 Add the same color to the outer third of the lower lashline, on top of where you put your bronze liner. Smudge it out. To create a more dramatic effect you can bring this portion to the tear duct and/or try using a darker eyeliner and then smudging it out. 10. Curl lashes, apply mascara and lashes. Draw your brows and you are done! Swatches of the products used. Click to enlarge any photo! I apologize because I know some of these products are LE or not available anymore, but it doesn't mean you can't get the same look with similar products. Remember this is "inspired by!" Just go with what you got! Why try to be Natalie when you can be you! Get ready for your close-up because you are done!